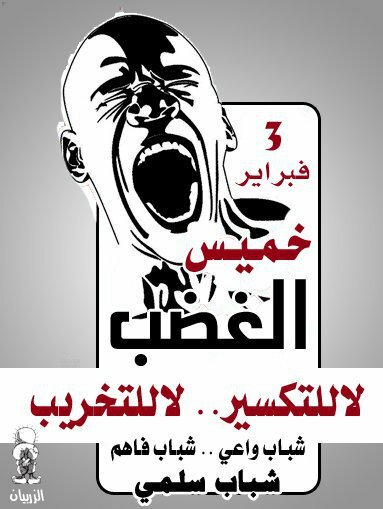 Last year exactly like today, 3rd Feb. 2011, it was Thursday, the "day of rage" in Yemen when thousands of protesters took the streets after being inspired by the uprising in Tunisia and Egypt. I remember the day vividly. It was a turning point day. 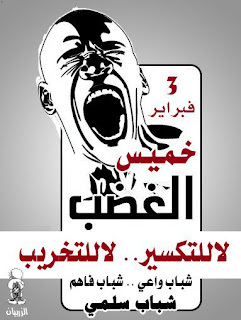 A number of protests took place before this date but this day was, for me, the big real kick off of Yemen's uprising. One day before, on Wednesday, I was online; trying my best to follow where the protest will take place and all its details. My poor sweet mother knew that I wanted to protest next day and she was so worried about my intention. So, she had a strategy. She sat me down and she calmly told me, "Look my lovely daughter! if you have any plans to protest tomorrow, please know that's not going to happen. I had a great deal of struggle to raise you and your sister and I'm proud of both of you. I would never want to lose you and spoil all my time and effort in raising you. Politics is a dirty game and you'd better not to get involve in this. Tomorrow, there is going to be a massive protest and it's going to be extremely dangerous. You'll not go out. You'll stay all day long here, in front of me, because I need you to be safe. Afrah, if you love me, you'll obey my order!!" Those were my mothers words to me. Gosh! I still remember everything; where we were sitting, how she spoke to me and how she was kinda beging me but in the same time she wanted to look "strict". My reaction was silence as it was a very discomforting thing to know that I was not "allowed" to protest on the ground along with the others. Then, I just nodded with agreement because I must prove that I love my mother and I would obey her order. However, secretly, I was thinking, I must find a way to fix this. I followed the online preparation for the protest closely. Initially, the pro-democracy protest was going to be at Sana'a's Tahrir square, on Thursday, but, pro-government protesters knew about that and thought to make a creative move! Government's supporters decided to occupy Tahrir square at the evening of Wednesday for two reasons. One, because they wanted to take that place away from pro-democracy protesters as they were planning to gather there next day. Second, because they wanted to show their "loyalty" for Saleh. So, on Wednesday evening, I was facebookaly invited to protest at Tahrir square, then, at late night, I got another Facebook message from one of the revolutionaries writing to me that the location has been changed to Sana'a University's gate - which later came to be known Change Square. Being in jailed by my mother during Thursday, I thought there must be a way that I can contribute with to the pro-democracy protests. I thought, writing about it would be a nice start point. Then, I realized blogging about my people's uprising was going to be helpful in shedding light about Yemen's nobel demand for dignity, freedom and democracy. Little did my mother know, I was at home but I was effectively using the virtual world to make a noise about Yemen. Today, protesters in Aden facing gunshots and teargas from security forces. Couple protesters were killed and tens were wounded. Women in Hudaidah province protesting in chanting for Yemen and Syria's uprising. Protesters chanting at change square in Taiz province.